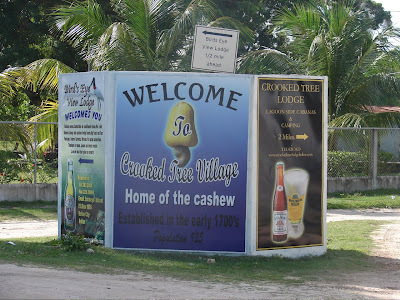 The Crooked Tree Village Reunion and the Villagers of Crooked Tree Village would like to express deepest sympathy and heartfelt condolences to the Bowen family on the death of Sir Barry Bowen. May the divine hand of God give you perfect rest; and may the Lord strengthen your family as they go through this time of bereavement. On August 6th, 2009 Bowen & Bowen and Kevin Bowen, the son of Sir Barry Bowen, donated a beautiful new sign to welcome visitors and friends to Crooked Tree Village. Sir Barry Bowen was born in Belize on September 19th 1945. His ancestors arrived in what was then British Honduras, from Britain and France in the 1700’s. He grew up in Belize and was sent to boarding school in the U.K., but left the United Kingdom for college in the U.S.A., where he graduated from Cornell University in New York State at the age 20. A young Barry returned to Belize to lead the Bowen Company with his father Eric. In 1968 Barry became manager, and in 1978 assumed control of the then small family business. 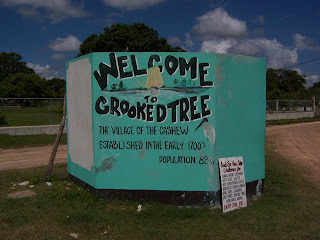 The group eventually acquired the Coca Cola franchise, the Ford Motor Company dealership, the Belikin Brewery - which produces Belize's most popular beer- Belikin Beer, and also Guinness Stout, Crystal Purified Water, the largest shrimp farm in the country-Belize Aquaculture Ltd., the well-known Chan Chich Eco Lodge, the 130,000 acre Gallon Jug Estate and Coffee Company, and two elite private schools. Sir Barry was a veteran licensed pilot with some 40 years experience. The aircraft that he was piloting at the time of his demise was a Cessna 206 modified with a Rolls Royce turboprop engine. He is survived by his wife Lady Dixie Bowen, four sons and two daughters. 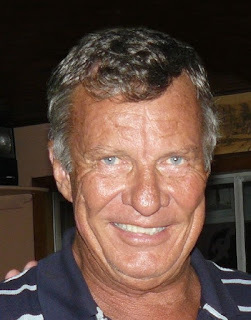 Sir Barry Bowen was interred on March 2, 2010 at San Ignacio Town in Western Belize following his passing in an air crash on 26 February at San Pedro, Ambergris Caye. He was given a state funeral at the historic St. John's Cathedral in Belize City that was attended prominent Belizean, family and friends.